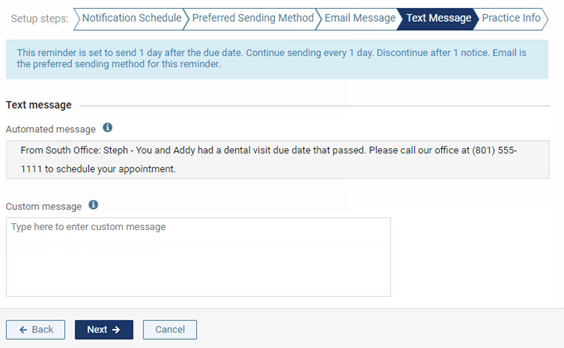 You can create a recare communication (an email message and a text message that get sent to patients automatically regarding their prophy recare, using procedure codes D1110 and D1120). 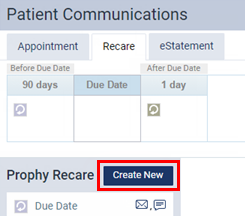 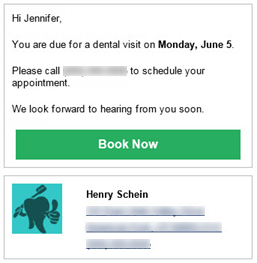 On the Recare tab of a location's Patient Communications page, click (or tap) Create New. 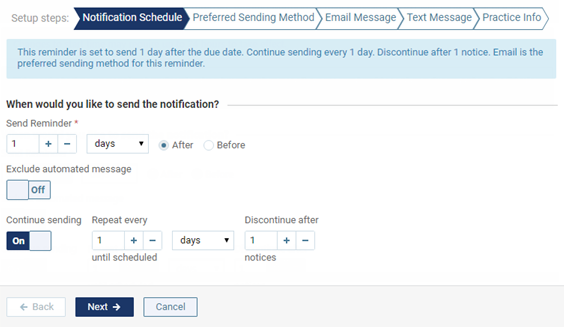 The wizard for creating a new recare communication appears. 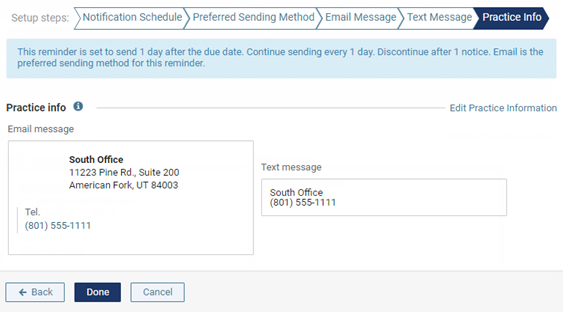 The communication's Active setting is On by default, which means that the corresponding email or text message will be sent to patients as applicable. 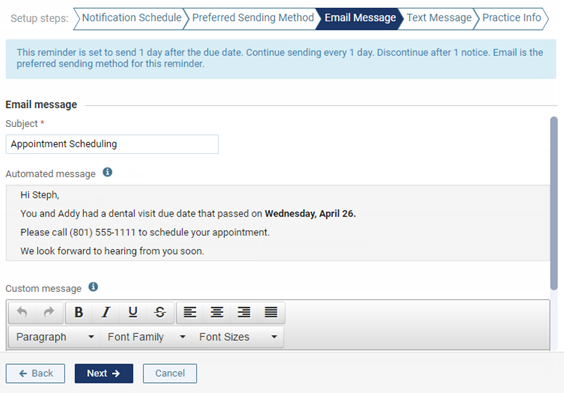 Turn the communication Off to not send the corresponding email or text message to any patients.